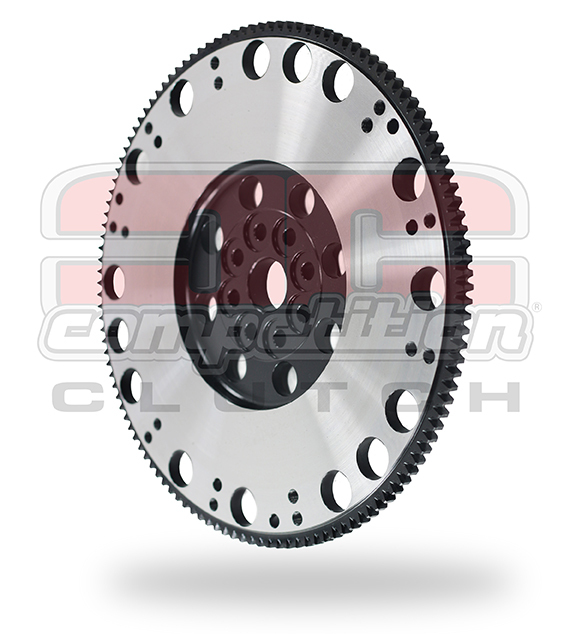 The new Competition Clutch Steel Ultra Lightweight Flywheel (STU) for the Subaru WRX, Legacy & Forester models provides a high quality alternative for race only applications. The STU flywheels are manufactured from 4140 Forged Steel and are a one-piece design. The 4140 Forged Steel material is precisely distributed for maximum strength, lower inertia (reduced mass = increased acceleration), increased heat tolerance, and increased strength. These characteristics prevent ring gear separation, reduce friction surface warpage, and maintain the rigidity of the flywheel. STU flywheels can also be resurfaced for long term durability. CCI flywheels are CNC machined and balanced to better than O.E. specifications. This particular STU flywheel is recommended for race only applications and may trigger a Check Engine Light (CEL) as this flywheel only weighs 10.45 lbs.